Ahead of their release tomorrow (Tuesday 20th November), Mastermix has announced the track listings for its December DJ-only music compilations. Available both on CD and as digital downloads, these collections of both new and classic tracks are perfect for DJs preparing for the busy festive season. 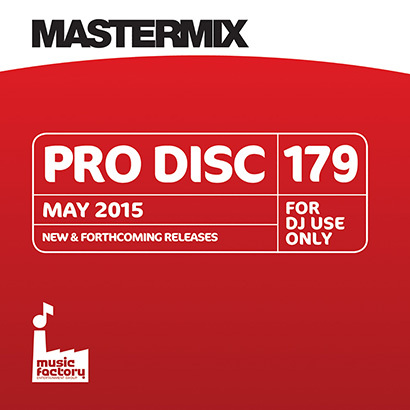 The latest DJ-only releases from Mastermix are available now to buy on CD or download on mp3. Designed to keep mobile DJs’ music collections up to date, Pro Disc 204 features 22 new and forthcoming chart hits; DJ Beats 55 includes 15 classic tracks with added 8-bar intro and outro beats to aid with mixing; while Issue 372 is a double CD packed with megamixes covering a wide variety of musical styles. The May edition of Mastermix’s monthly DJ-only compilation of the latest new and forthcoming pop releases is out. Featuring 21 tracks from artists including Iggy Azalea, Drake, Ed Sheeran, and Harry Styles, it is the perfect way for mobile DJs to keep their collection of new music up to date. The latest edition in DJ-only music label Mastermix’s monthly DJ Beats series features 14 popular songs from across recent decades, all with added 8-bar intro and outro beats to help mobile DJs to seamlessly blend together the radio edits of big floor-fillers. The March DJ Beats release includes tracks from Christina Aguilera, Roxette, Olly Murs + more. The team at Brighton-based DJ, lighting, and music equipment retailer Gearooz have created a music video for Indie band The Wondersmiths to serve as an advert for the store. Filmed at the company’s premises, the short film showcases a range of the equipment offered for sale by the company. 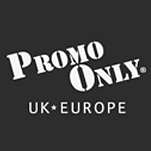 The latest edition of Mastermix’s ‘DJ Only’ compilation of the latest new and forthcoming chart tracks is available now. Featuring new releases from Alesso, Mariah Carey, Bruno Mars, Train, Usher, The Weeknd and many more, Pro Disc is an easy way for a mobile DJ to keep their music collection up to date. The 200th instalment of Mastermix’s monthly DJ-only release of new and forthcoming chart tracks is out today (Tuesday the 24th of January 2017). Featuring 22 songs, the album includes tracks from Bastille, Beyoncé, OneRepublic and Ed Sheeran. The January instalment of Mastermix’s monthly DJ Beats CD series is the 50th edition of this innovative DJ release. Each DJ Beats release features a collection of popular floor-fillers from across the decades with added 8-bar intro and outro beats to allow commercial mobile, bar and club DJs to seamlessly blend together the well-know radio edits of popular tracks. 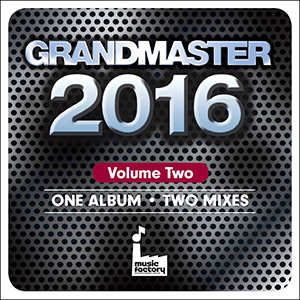 As the year comes to a close, Mastermix has released the second in its two part ‘Grandmaster 2016’ series. 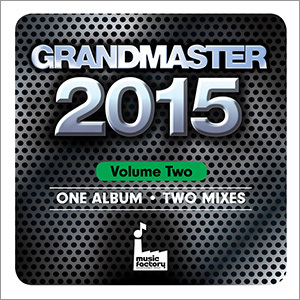 The double CD features more than fifty of the year’s biggest pop, dance and urban hits combined into two non-stop megamixes: Grandmaster 2016 Volume 2 and The DJ Set 32. The December instalment of Mastermix’s monthly DJ Beats compilation of DJ-friendly radio edits extended with intro and outro beats is available now on CD or as a digital download. 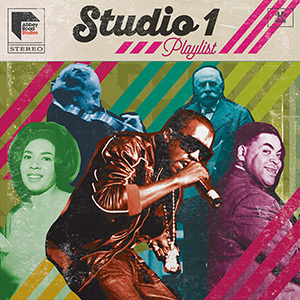 Featuring 14 well-known tracks it includes artists as diverse as Gina G and the Kaiser Chiefs! The December edition of Mastermix’s monthly Pro Disc compilation of new and forthcoming music is released today (Tuesday the 22nd of November). Offering DJs a ‘one-stop-shop’ for new music, it features 22 tracks from artists as diverse as Little Mix and The Chainsmokers! The latest edition in DJ-only music label Mastermix’s monthly DJ Beats series features 14 popular tracks from across recent decades, all with added 8-bar intro and outro beats to help mobile DJs to seamlessly blend together the radio edits of big floor-fillers. 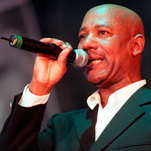 The November DJ Beats release includes tracks from Pulp, Utah Saints, The J. Geils Band and Pitbull to name just a few. The November edition of Mastermix’s monthly Pro Disc release is packed with 22 newly released or pre-release tracks that have already charted high or are set to do so very soon. 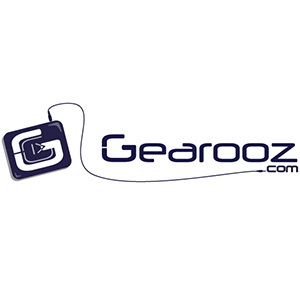 It is an ideal way for a mobile DJ to update their music collection with the latest hits. The October instalment of Mastermix’s popular DJ Beats release features fourteen retro tracks that have been extended with 8-bar intro and outro beats to help DJs blend together popular songs into seamless mixes. These aren’t remixes, they are the original radio edits, but enhanced with mixable intros and outros. The latest edition of Mastermix’s monthly Pro Disc compilation of new and forthcoming chart music is out now. Packed with 22 tracks from Gyptian, Coldplay, Rihanna, Ellie Goulding and many more, Pro Disc 196 is available on CD as or a digital download. The September edition of Mastermix’s monthly DJ Beats release features an eclectic selection of well-known tracks – from artists as diverse as Def Leppard and Ton Loc – each extended with 8-bar intro and outro beats to allow seamless mixing of pop radio edits by mobile DJs. 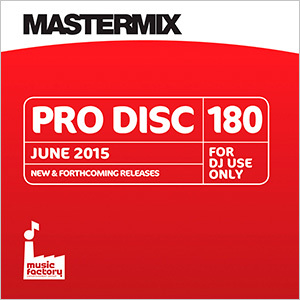 Mastermix Pro Disc 195 – Out Now! The September instalment of Mastermix’s monthly compilation of new and forthcoming music releases is out now. 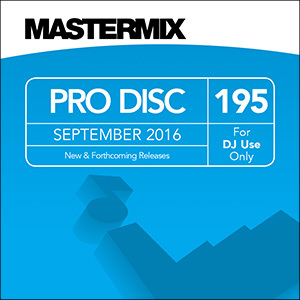 Pro Disc 195 features 22 tracks from a variety of genres, with artists including Jason Derulo, Britney Spears and Years & Years. The August edition of Mastermix’s monthly DJ Beats music compilation is out now. Packed with 14 tracks, including Bruce Springsteen’s iconic ‘Born in the USA’ and Gala’s pop-dance classic ‘Freed From Desire’, DJ Beats 45 features DJ-friendly versions of the popular radio edits of each song but extended with 8-bar intro and outro beats. The July edition of Mastermix’s monthly music compilation of the latest new and forthcoming pop tracks is released today (Tuesday the 26th of July). Packed with 22 tracks, Pro Disc 194 features the latest releases from James Bay, Olly Murs, Sam Smith, Usher and many more. The latest monthly instalment of Mastermix’s Pro Disc DJ-only compilation series featuring new and forthcoming pop music releases is out now. Pro Disc 193 includes the latest releases from Clean Bandit, Fifth Harmony, Alicia Keys, OneRepublic, Megan Trainor and many more. The latest edition of Mastermix’s DJ Beats series is out now, packed with 14 popular tracks enhanced with DJ-friendly 8-bar intro and outro beats to make mixing radio edits of pop songs easy and seamless. June Pro Disc From Mastermix Out Now! The latest edition of Mastermix’s month DJ-only album of the latest new and forthcoming chart tracks is out now. Pro Disc 192 features 22 tracks from artists as diverse as Adele and Florence + The Machine; Justin Timberlake and Calivn Harris. The May edition of Mastermix’s monthly DJ Beats series is out now. Featuring radio edits of popular songs from across the decades, DJ Beats tracks are the original radio edits but with added intro and outro beats to allow seamless beat-mixing of pop DJ sets. The May instalment of Pro Dance from Mastermix is out now, featuring 15 of the current biggest hits and new releases in remixed form. The 100th Pro Dance release includes tracks from Years & Years, Flo Rida, Gorgon City and Selena Gomez. 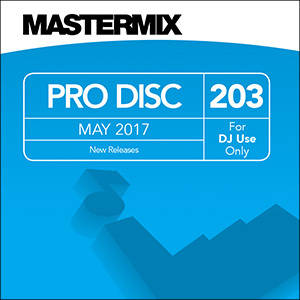 The May instalment of Mastermix’s monthly Pro Disc series is out now, featuring 22 of the latest new and forthcoming pop tracks exclusively for DJ use only. Pro Disc 191 includes the latest releases from Iggy Azalea, Jason Derulo, Taylor Swift, Will.I.Am and many more. Light It Up: Mastermix Issue 357 Available Now! The March edition of Mastermix’s DJ-only Issue release is now available, featuring mixes, remixes, mash-ups and extended floor-fillers, all curated by the Mastermix team! An assortment of current chart-toppers, dance hits and pop classics are compiled across two discs, Issue 357 is ideal for mobile DJs playing to crowds of all ages at a range of events. Pro Dance 98: Club Edits, Remixes and Originals! 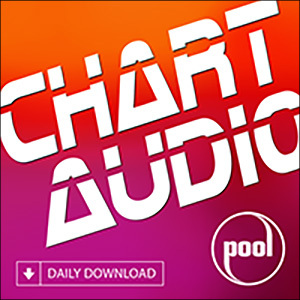 A neat 15-track selection of pop remixes, club edits and extended dance mixes, Pro Dance 98 – the latest Pro Dance release from Mastermix – is available now, providing mobile DJs with a variety of today’s hottest hits and the chart-toppers of tomorrow. The latest Pro Disc release from Mastermix – Issue 189 – is available now, featuring radio edits of the hottest current hits and the chart-toppers of tomorrow, providing mobile DJs with a varied assortment of floor-filling tracks! Mastermix Grandmaster Warm Up Vol. 4: 80's – Out Now! 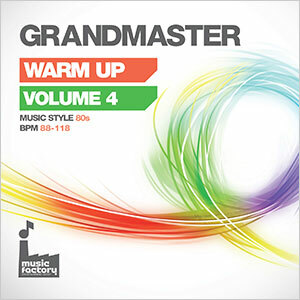 Mastermix has released a new volume of its Grandmaster Warm Up series! ‘Grandmaster Warm Up Vol.4: 80’s’ provides mobile DJs with a playlist of 25 classic eighties pop tracks designed for use as background music or during early-evening sets. Out Now: Mastermix Pro Dance February Edition! The latest DJ Beats release from Mastermix, Volume 39, provides mobile DJs with radio edits of 15 classic floor-filling pop songs, selected from across the decades and each edited with added eight-bar intro/outro beats for seamless mixing. 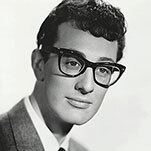 Many consider the 1950s to be the decade that shaped pop music as we know it. 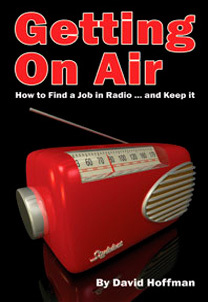 But it’s also an era that’s overlooked, especially when it comes to modern listeners and young mobile DJs. In honour of this boundary pushing decade, we want to find out the Top 10 Fifties Floor-fillers, as voted for by you – the mobile DJs! Pro Disc 188 from Mastermix Out Now! Featuring radio edits of pop’s current chart-toppers and tomorrow’s hottest hits, Pro Disc 188 from Mastermix is available now, giving mobile DJs plenty of floor-filling tracks that are perfect for kicking those winter blues and getting the party started! Pump Up The Jam: Mastermix Issue 355 Available Now! The January edition of Mastermix’s DJ-only Issue release is now available, featuring mixes, remixes, mash-ups and extended floor-fillers, all curated by the Mastermix team! Offering up an array of current chart-toppers, dance hits and pop classics, the two-disc Issue 355 is ideal for mobile DJs playing to crowds of all ages at a range of events. It was today announced that musician David Bowie has died, aged 69, after an 18-month battle with cancer. 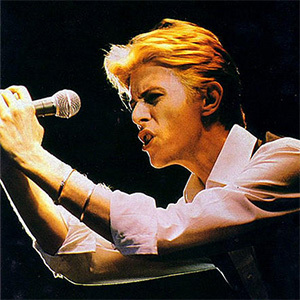 Credited with having carried pop music forward in innovative new ways, especially during his Seventies heyday, Bowie leaves behind a long legacy that has seen tributes to his creativity and musicianship pouring in across social media. 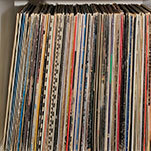 Those DJs and music fans dubious about the return of vinyl have been left in little doubt of the format’s revival this week, as vinyl purchases soar and high-street music retailer HMV reports sales of one turntable-per-minute in the week prior to Christmas. Canned Heat: Mastermix DJ Beats Volume 38 Available Now! DJ Beats Volume 38 – the latest DJ Beats release from Mastermix – features radio edits of 15 classic pop songs from across the genres, providing mobile DJs with a collection of floor-filling tracks that can be seamlessly mixed thanks to their added eight-bar intro/outro breaks. Issue 96 – the latest Pro Dance release from Mastermix – is out now, offering mobile DJ a collection of 15 current chart-toppers and future hits from across the world of dance, including pop remixes, club edits and extended remixes by some of the biggest names in the genre. Pro Disc 187 January Edition Out Today! The first Mastermix Pro Disc issue of 2016 is out today (22nd of December) offering radio edits of the hottest current hits and tomorrow’s chart-toppers, giving mobile DJs plenty of ways to keep the party going throughout Christmas and well into the New Year! Mastermix DJ Beats December Release Out Now! Featuring radio edits of 15 classic pop songs, DJ Beats Volume 37 is now available from Mastermix. Packed with pop songs from across the decade, the latest release includes a variety of floor-filling tracks, each with added eight-bar intro/outro breaks that make it easier for DJs to mix them together for a seamless set! The December issue of the popular Mastermix Pro Dance series is out now, featuring 15 of the dance world’s biggest tracks. Providing mobile DJs with unstoppable selection of club-friendly tracks, these remixes, extended cuts and originals are made to bring the dance-floor to life! Mastermix Pro Disc 186 Released Today! The latest Pro Disc release from Mastermix is out today (24th of November) featuring radio edits of today’s current chart-toppers and tomorrow’s big hits, enabling mobile DJs to stay ahead of the curve and keep the dance-floor packed throughout the Christmas holidays. 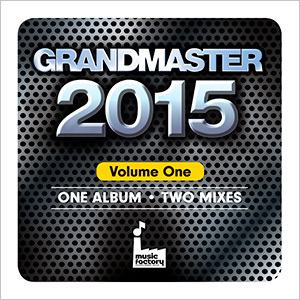 Out Now: Mastermix Grandmaster 2015 Volume 2! Compiling the hottest pop, dance and urban hits of the year, the second issue of Mastermix’s Grandmaster 2015 release is available from today (18th of November), providing mobile DJs with an eclectic array of must-have tracks that will see them through Christmas and well into the New Year! Turn the Music Louder: Mastermix Issue 353 Available Now! Featuring mixes, remixes, mash-ups and extended floor-fillers, curated by the Mastermix team, the November edition of Mastermix's DJ-only Issue release is out now! 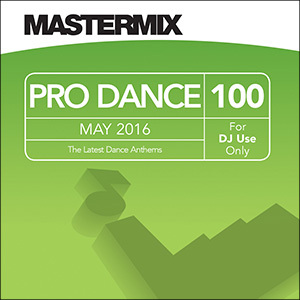 High-Energy Hits: Mastermix Pro Dance 94 Out Now! The latest Pro Dance release from Mastermix – issue 94 – is out now, providing mobile DJs with an eclectic selection of 15 high-energy dance tracks from some of the genre’s biggest artists and producers, including pop remixes, club edits and extended mixes. Turn the Music Louder: Pro Disc 185 Out Today! The latest Pro Disc release from Mastermix is released today, providing mobile DJs with radio edits of the latest hottest hits and future chart smashes. 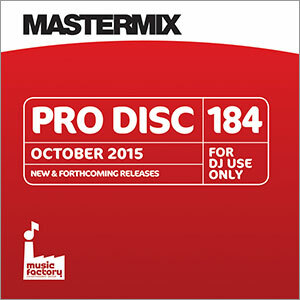 Featuring a wide-ranging mix of tracks from newcomers and chart regulars alike, Pro Disc 185 ensures that DJs can keep the dance-floor alive this autumn. 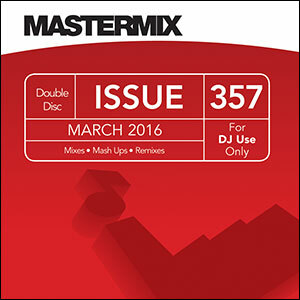 The latest edition of Mastermix's flagship DJ-only release, Issue 352, consists of two discs, each featuring mixes, remixes, mash-ups and extended floor-fillers, curated and mixed by the Mastermix team for use by mobile jocks and commercial club/bar DJs. Mastermix DJ Beats 35 – Out Now! Volume 35 of the DJ Beats series from Mastermix is now available, providing mobile DJs with radio edits of 15 classic pop songs, each with added eight-bar intro/outro breaks that make it easier to mix these floor-filling tracks together for a varied and effective set. Pro Dance 93 Available Now from Mastermix! The Mastermix Pro Dance release for October is out now, featuring 15 unstoppable dance tracks. 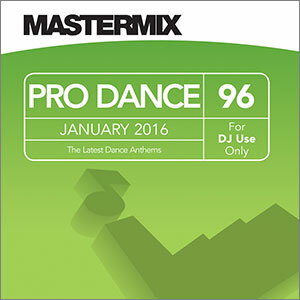 A must-have for mobile DJs, Pro Dance 93 includes the hottest original hits and unique remixes of pop floor-fillers, making it ideal for private functions, club events and bars, especially when playing for younger crowds. Summer may just about be over, but Mastermix’s latest Pro Disc release contains enough radio edits of the latest hits to see you through September. The new edition (Pro Disc 183) is out now, providing mobile DJs with recent chart sensations and future smash hits from across the world of pop. Out Now: Mastermix Pro Dance 91 Offers Huge Summer Hits! Mastermix’s monthly Pro Dance release for August – Issue 91 – is a must-have for mobile DJs, especially those playing to younger crowds, whether at private functions, club events or bars. Available now, the new edition features 15 floor-fillers, ranging from the hottest commercial dance anthems to unique remixes of the latest pop hits! Stay ‘Cool for the Summer’ with Mastermix Pro Disc 182! DJ-only music label Mastermix has released the August edition (182) from its Pro Disc Series, providing mobile DJs with radio edits of the latest chart sensations and guaranteed future hits from across the musical spectrum. 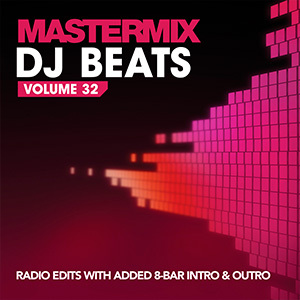 The latest DJ Beats release from Mastermix, Volume 32, is available now, featuring radio edits of 15 classic tracks, each with added eight-bar intro/outro beats to make efficient, effective mixing even easier! Available Now: Mastermix Pro Dance 90 Offers High-Energy Hits! Pro Dance 90 from Mastermix is out now, featuring 15 of today’s hottest dance tracks! Disclosure’s latest offering, ‘Holding On’, features the magical jazz vocals of Gregory Porter; Little Mix offer up a slice of pop perfection with ‘Black Magic’; and ‘Go’, by Nineties legends The Chemical Brothers ft. Q-Tip, is sure to ignite the dance-floor! Today’s Hottest Tracks: Mastermix Pro Disc 181 Out Now! Created by Mastermix specifically for mobile DJs, the latest Pro Disc series release (July 2015) is available now, offering up 22 modern tracks from across the genres, including pop, dance and hip hop. 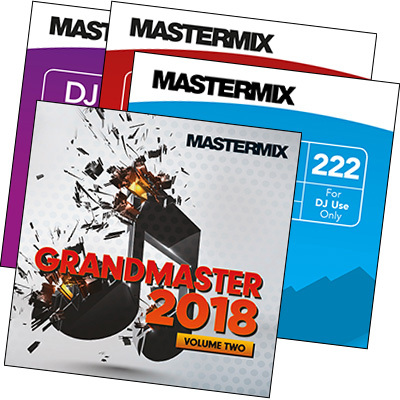 Compiling the hottest pop, dance and urban hits of the year so far, volume one of Mastermix’s Grandmaster 2015 is here, providing mobile DJs with all the great music they need for those up-and-coming summer gigs! Keep On Jumpin’ with Mastermix DJ Beats Volume 31! The June edition of the popular Mastermix DJ Beats series is out now, featuring radio edits of classic songs from across the musical spectrum, each with added eight-bar intro/outro beats to help DJs mix more efficiently! 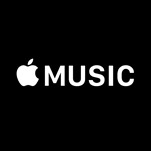 The way in which mobile DJs and other music lovers listen to their favourite artists has taken another turn, as Apple announces the launch of its Apple Music streaming service, which will also involve a 24-hour live radio broadcast and an app that lets music fans connect with artists. 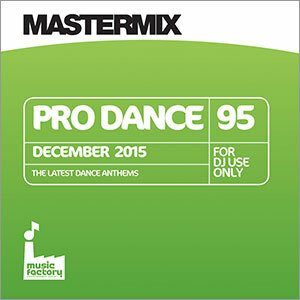 Brand New Floor-Fillers: Mastermix Pro Dance 89 Out Now! Mastermix’s latest Pro Dance release – Pro Dance 89 – is available now, featuring 15 of the biggest floor-fillers around! Opening with an anthemic electro track from Axwell ^ Ingrosso, this edition also offers up Grade’s remix of Maverick Sabre’s ‘Walk Into The Sun’ and a bouncy reworking of Carly Rae Jepsen’s pop hit ‘I Really Like You’. 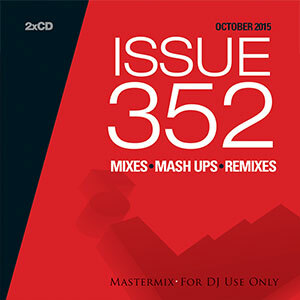 Mastermix Issue 347 Offers Latest Party-Starting Mixes! 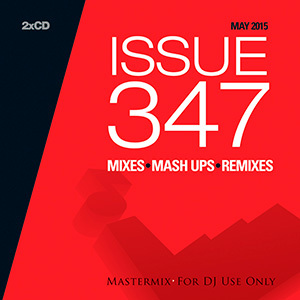 The latest edition of Mastermix's flagship DJ-only release, Issue 347 consists of two discs, each featuring mixes, remixes, mash-ups and extended floor-fillers, exclusively mixed by the Mastermix team for use by mobile jocks and commercial club/bar DJs. Mastermix Pro Dance 88 – Floor-Filling Pop Remixes! The latest edition of Mastermix’s monthly Pro Dance release is out now, featuring 15 of the hottest floor-fillers around, from the biggest commercial dance tracks to club-ready remixes of the latest pop hits! Volume 30 of the popular Mastermix DJ Beats series is now available, featuring radio edits of classic tracks with added eight-bar intro/outro beats to help DJs mix more effectively with smoother transitions.